Are you ready? I made the best dessert ever tonight. 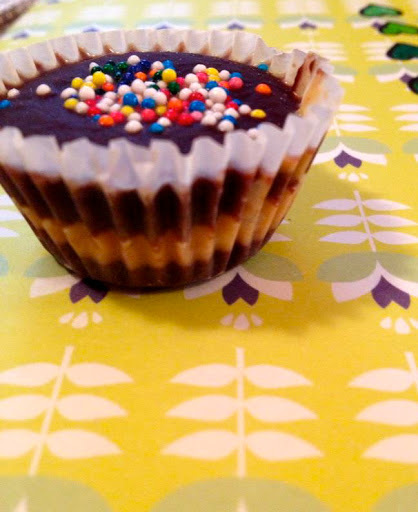 This is a recipe on my favorite dessert blog, Chocolate Covered Katie. I have been meaning to make them forever, and tonight inspiration struck. Don’t they look delicious? 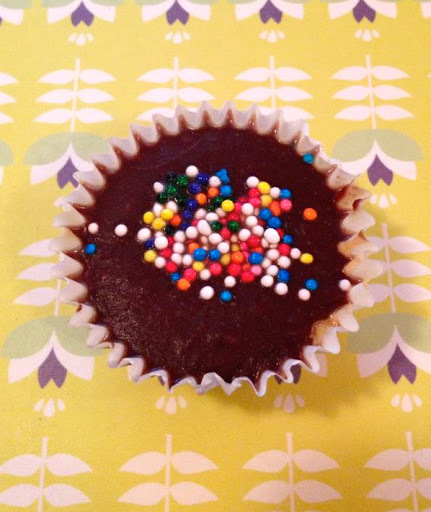 I used my mini muffin liner and pan, and melted down the ingredients for the chocolate in my nonstick pan. I spooned the chocolate into the liners, stuck the pan in the freezer for 8 minutes, and then added the PB and second layer of chocolate. I froze them for another twenty minutes. 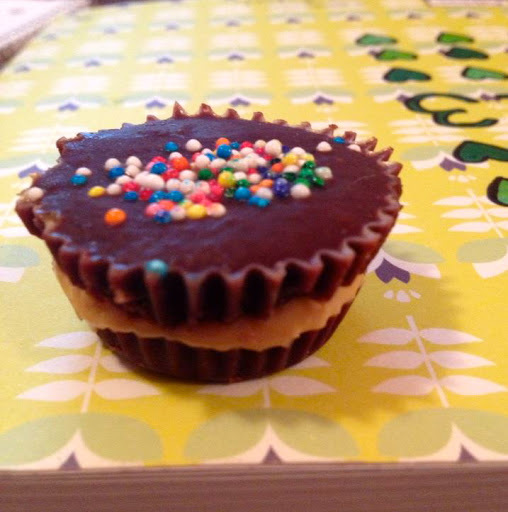 Here is the recipe: Reese’s Pumpkin Peanut Butter Cups. Thanks, Katie! These were perfect because I will NEVER eat Reese’s brand candies ever again (PB easter eggs, peanut butter cups, Reese’s Pieces, etc.). And you shouldn’t either. They contain TBHQ as a preservative, and some are hydrogenated. Luckily these are the perfect substitute, and homemade at that!